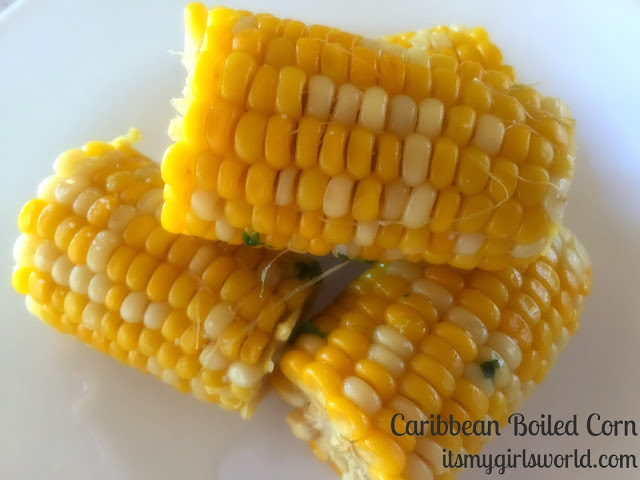 Caribbean Boiled Corn - I read about this on a fellow Ontario blogger's site. I have only ever had corn boiled/steamed in regular water with some sugar thrown in. This recipe looks so tasty. I think the Ontario corn is just about here so we will definitely be trying this recipe! Peach Crisp - Again, the Ontario peaches should be out very soon and then we will make this yummy dessert. 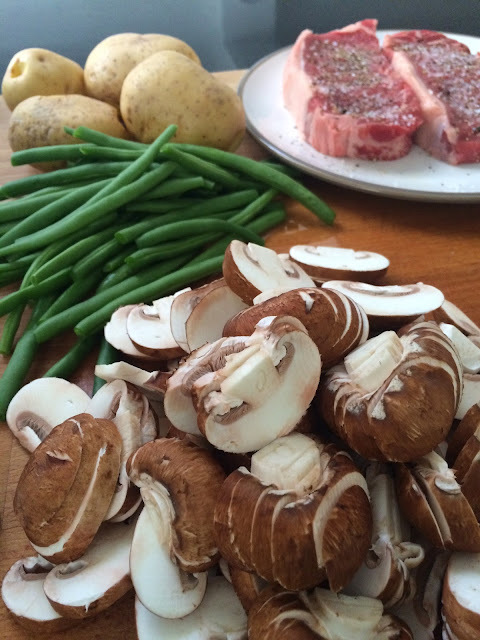 BBQ'd Steak, Mushrooms and Green Beans - my favourite meal. I am not supposed to eat rare meat while pregnant, but I'm sure I can manage medium and still be okay. I trust the meat market where we get our steaks. And we will continue with lots of fresh berries and other produce, they taste so good at this time of year!